There are somewhere around 2,600,000 nurses today. These are individuals who have dedicated their lives to caring for others. Even in a field with so many heroes, there are still a few stand outs. These are the ones who have gone the extra distance to advance their field and become leaders. While there are many people who certainly deserve to be on a list of influential American nurses, this list has been whittled down to just ten. 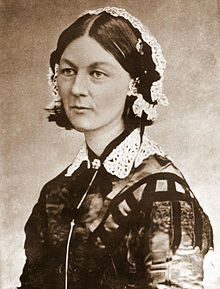 The purpose of this list is to enumerate some of the most influential American nurses and, yes, Florence Nightingale is English. However, her contributions to nursing and indeed the world supersede any sort of national boundary. She cared for the poor and the ill, advocated for better health care for everyone and trained and mentored other nurses. While serving in the Crimean War, she found that many of the soldiers were dying due to poor sanitation and worked to improve conditions. Later, she and Dr. Elizabeth Blackwell opened the first medical school for women. For these reasons and many more, we celebrate International Nursing Day on May 12, her birthday. While we think of nursing as a predominantly female profession, there have nevertheless been men practicing nursing throughout history. Born into slavery, James Durham was the first African-American in the United States to formally practice medicine, although he never received any formal medical training. Owned by several doctors, one of his owners encouraged his interest in medicine. It was by working as a nurse that he was able to purchase his freedom in 1783 and open a medical practice of his own. 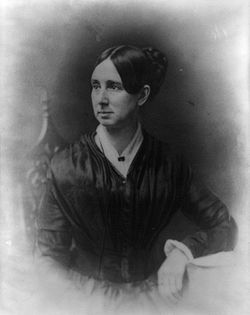 During the Civil War, Dix was superintendent of Union Army Nurses but was relieved of her duties after some serious disagreement with Army doctors. Because Dix believed in caring for everyone, she and her nurses were among the only ones to care for Confederate soldiers. Her real contributions, however, lie in the mental health field. After taking an interest in how the mentally ill were cared for, she began petitioning Congress and drafting legislation on their behalf. She is credited with creating the first mental health system in the United States. Much like her contemporary Dorthea Dix, Clara Barton served as a nurse during the Civil War, caring for wounded Union soldiers. In 1864 she became the “Lady in Charge” of Union hospitals. Like Dix, Barton is best known for her activities outside of the war. It was after a trip to England where she visited the Committee of the Red Cross that she was motivated to create a branch in the United States. The American Red Cross is still in operation and provides relief to disaster victims. Richards was the first student to enroll in America’s first nurse’s training school. 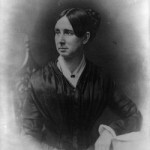 She served as an influential director of the Boston Training School for Nurses. Late in her career she founded the American Society of Superintendents of Training Schools and headed the Philadelphia Visiting Nurses Society. Some of her most important work, however, was conducted at Bellevue Hospital where, appalled by the state of record keeping, she developed a system for keeping track of each patient’s medical records. Her system was adopted in both the UK and the US. In 1994 she was inducted into the Women’s Hall of Fame. Mahoney was the first African American woman to become a nurse in the United States. She served at the New England Hospital for Women and Children for 15 years before finally being admitted to a nearby nursing school. One of only four graduates out of an original 42, she spent much of her career as a private duty nurse. The last decade of her career was spent as director of an orphanage for African-American children. 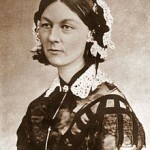 She was one of the original members of the Nurses Associated Alumnae of the United States and Canada. She went on to cofound the National Association of Colored Graduate Nurses. The organization later developed an award in her honor for women who contributed to racial integration in nursing. Known as the “American Florence Nightingale,” Anna Caroline Maxwell created the Army Nurse Corps during the Spanish- American War. She served as superintendent of nurses at a number of hospitals. Maxwell went on to become the first director of New York Presbyterian Hospital, later known as Columbia School of Nursing. 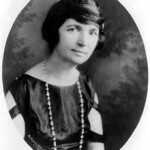 Margret Sanger was the pioneer behind the women’s health movement. She disseminated information to women about such topics as menstruation, sexuality and birth control. 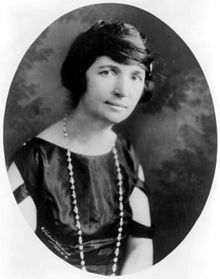 Often in trouble with the law for her controversial behavior, she went on, in 1921, to found the American Birth Control League later known as Planned Parenthood. Sharon Ann Lane served as a First Lieutenant in Vietnam. One of only eight military nurses who died in Vietnam, she was the only one who died as a direct result of enemy fire. She stands as a symbol of the sacrifice made by women who serve in times of war. Noticing how nurses were expected to identify, collect and preserve evidence from crime victims brought into the ER, Virginia Lynch came to realize that there should be a discipline within the field of nursing for nurses regularly involved in police investigation and the legal system. This discipline would encompass the sexual assault nurse, the death investigator, the legal consultant nurse, the psychiatric nurse and the emergency room nurse. After two years of Independent study at the Southwestern Institute of Forensic Sciences, Lynch created the first Master’s degree program in forensic nursing at the University of Texas- Arlington.